Using 2016 figures, the total cost of the Washington Township Police Department to that $10,000.00 taxpayer is approximately $720.00 annually or $60.00 per month which comes out to $1.97 per day. 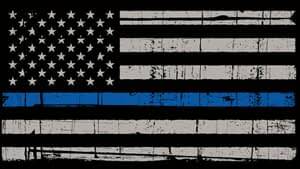 Remember that your Police Department is the only Township department that works full time, 24 hours a day, 365 days a year providing for public safety patrol and emergency service dispatch and response as well as protecting the quality of life we enjoy here in the Township of Washington. We are the first ones at your door not only when you call for police assistance, but for medical and fire emergencies as well. To put that in proper perspective, the cost for basic cable television (without telephone or internet) in this area starts at $65.00 per month which comes out to $2.14 per day without any extras. The cost for a residential security alarm monitoring service starts at $30.00 per month which comes out to $1.00 per day. Contrary to all of the recent publicity about the “astronomical” costs of police services, your police department is NOT the driving force behind the high cost of our property taxes here in the Township of Washington.